Decorative Gift Boxes for Packaging Industry are manufactured using quality range of raw material and are available at the most competitive prices in the market. Made using the top grade raw material, these comply with the international quality parameters. 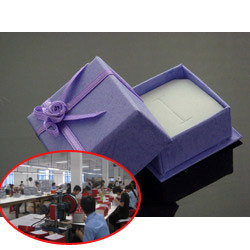 Looking for Decorative Gift Boxes for Packaging Industry ?